It has not been that long since the Vita release of the action-RPG Tokyo Xanadu -- a slick-looking game for Sony's portable system that tried to serve as a departure from Falcom’s signature series like The Legend of Heroes and Ys titles. If anything, Tokyo Xanadu felt like a confluence of both of Falcom’s key franchises with a modern day setting and more distinctly “anime” take. 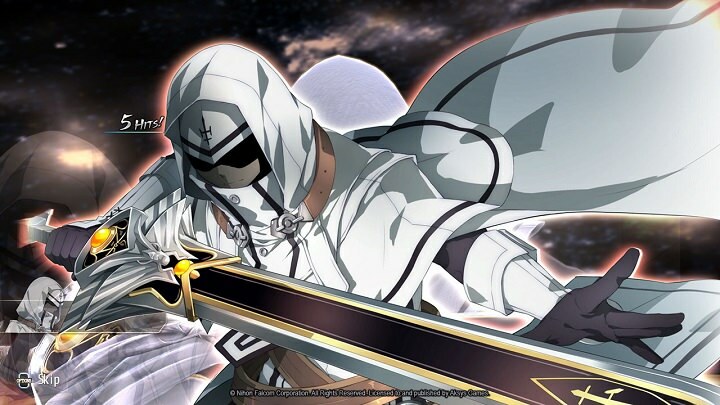 The enhanced version on PS4 named Tokyo Xanadu EX+ boasts much in the way of newly added content and enhanced visuals but is it really worth the envy of impulsive players of the original? 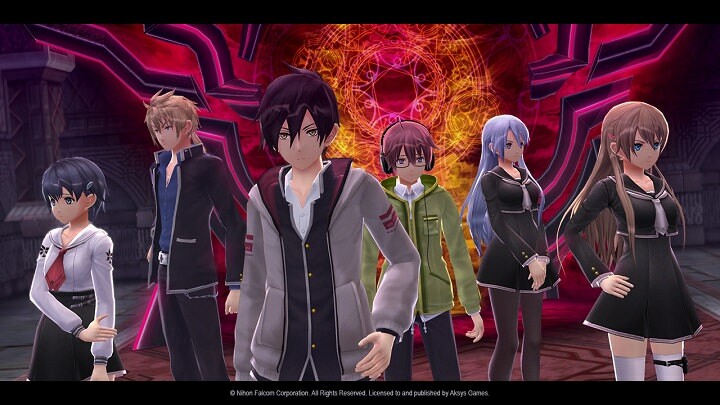 In terms of fundamentals, Tokyo Xanadu EX+ is largely familiar to its handheld predecessor. From the episodic style of anime storytelling to the dungeon crawling and occasional social aspects both in and out of school, the heart of Tokyo Xanadu EX+ remains the same. How it wears its recent Persona game influence (4 especially) on its sleeve remains quite prevalent as well. Frankly, my recommendation remains steadfast that one should just play something like Persona 3-5 before getting to something so clearly derivative of that series yet not nearly as good. Heck, the title is not even Falcom's A-game either when recent Ys games have better combat systems and The Legend of Heroes has much stronger characters and storytelling. For those curious as to what Tokyo Xanadu EX+ has to offer, there's a surprising amount compared to what its predecessor offered and it's safe to say that it's the definitive version of the game. What is actually new seems to stem out from various attempts at re-balancing and dispersing new content here and there between the main story. Enemies and bosses are noticeably more aggressive to counter the player’s newly added combat tools, enhanced 60 fps fidelity, and more responsive controls. For example, the mechanic "X-Drive", which used to be a temporary stat/regen buff on Vita, does that as well as summon another ally to join mid-battle and spam special moves alongside the player character in EX+. The game was not particularly challenging on the standard difficulty and remains so on PS4, but it feels that much honest on PS4 because the technical side is not a point of contention anymore and the enemy AI nowhere near as sleepy. While the action-RPG gameplay itself remains fairly average with repetitive dungeon crawling and so-so storytelling, the PS4 port itself is excellent. The art direction holds up and the generally silky smooth frame rate makes it pleasing to look in motion despite more than a few bland environments/enemy models. This stood out to me all that much more after playing Xenoblade Chronicles 2 alongside with it which is far less cohesive aesthetically, and technically, in comparison. Perhaps the most likely cause of envy for those saddled with the Vita release is the many new story scenes. After every chapter, there is a new narrative interlude generally focused on a specific character and ends with a short dungeon trek. Unfortunately, most extra chapters are barely worth mentioning except for the ones centered on the most intriguing character of the main narrative named "White Shroud" which gives players a neat taste of endgame combat early in. Speaking of which, if there is one aspect truly worth the spite of Vita-only owners, it is the endgame "After Story" chapter. Taking place following the main story, the After Story starts rather cute with a Halloween theme and heartwarming interpersonal sidequests. Though, that goodwill is later ruined by the lengthy grind of extra dungeons that introduce next to nothing new along a sequel tease to top it all off. Tokyo Xanadu EX+ straddles the line of being a wonderful port but also begs the question as to why did they put such effort into a game that hardly stands out as is. The PS4 version cleans up and refines the title in many subtle ways -- from extra story chapters, tightened up battle mechanics, and an enhanced presentation -- yet it still doesn't shake the overbearing feeling of Tokyo Xanadu being so thoroughly average among much better role-playing games in 2017 (even from Falcom itself.). It may be the most complete version the game has to offer though I can certainly think of more than a few PS4 RPGs more worth one's time before even giving Tokyo Xanadu EX+ a passing glance.